This GirlCrushOfficial Cute Cross Bow Beret will be sure to add the prettiness to your OOTD! Make this lovely Beret yours today! You're at GirlCrush, and you might be wondering why should you buy from us. It's not like we're a big retail store brand that has hundreds of stores around the country, with a known label. It might even be the first time you're hearing from us, so why should you buy from us, as compared to maybe your local Walmart or Adidas and the likes? The answer is pretty straightforward, we believe we can offer a service that's unparalleled, and provide products that you want but don't yet know. Every week, my team is hard at work, finding cool new stuff that matches the current trend across the industry. Our goal is to keep our catalog updated, so you'll never have to wear the same thing twice. The moment you choose to build a relationship with me, you'll be assigned to one of us, and that'll be your closest point of contact to GirlCrush. And I don't mean a relationship where you shoot us a question, and we send you a standard template reply. I mean real people, with real conversational skills. What I truly believe in is being your friend. I'm here to build a community. You can be able to talk to me about whatever you want, be it asking questions about shipping, asking questions about trends, or even just having a normal conversation with me. Because that's what I want. I want you to be comfortable with me, the exact same way I want to be comfortable with whomever I'm buying from. That's our philosophy, to make you feel as comfortable as possible, without compromises. 1. Do you ship internationally? How much is shipping? Yes we do ship EVERYWHERE and shipping is FREE with orders over $50! 2. WHERE DO YOU SHIP FROM? We ship from our partnered factories located in China. So, please expect your items to be shipped separately (if you order more than one item) as different factories specialize in different areas of manufacturing. Our shop’s currency is in USD though! Order processing time takes 1-7 business days before shipment. Deliveries can take up to 1 week to 2 months. It depends what you purchased. You can contact me or email admin@girlcrushofficial.com for specific shipping times. 4. MY ORDER HAS NOT ARRIVED YET? WHY? While some parcels can arrive early, some others may experience shipping delays, or you may live in a more isolated region from where we produce (China). If it does not arrive by 8 weeks upon ordering, we can help reship your order or refund! 5. I HAVE RECEIVED ONLY PART OF MY SHIPMENT, WHERE ARE THE OTHER ITEMS? We ship from different parts of China so some items might arrive earlier than others. If you’d like to know the status of your other items, please email us with your name and order number. 6. WHAT ABOUT POSSIBLE CUSTOM FEES? We are not responsible for any custom fees once the items have shipped. By purchasing our products, you consent that one or more packages may be shipped to you and may get custom fees when they arrive to your country (very rarely this happens). 7. WILL THIS ITEM GET TO ME BEFORE _________? If you plan to give one of our items as a holiday or occasional gift, we do not recommend buying the items during the month when the holiday is happening. There is a risk of the item not arriving there on time. We are not held responsible for items that do not arrive before specified dates. 8. Who delivers my item(s)? 9. What time are deliveries usually made? 10. What happens if no one is at home? 11. Where do you ship from? We currently ship from our warehouse from Asia, Canada, and Europe hence why sometimes our items take a little longer to reach you! 12. I messed up my delivery address, what do I do? 13. What about my billing address? 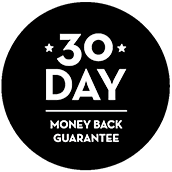 At GirlCrushOfficial, I'll always strive to bring you the most trendy, stylish and top quality apparels, accessories and makeup in the world, and I want to make sure I back that up with a risk-free ironclad 30 day guarantee. 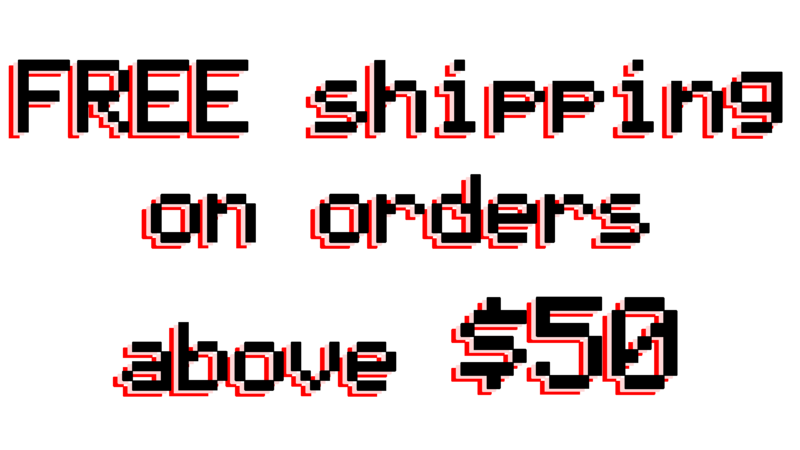 Furthermore, I offer FREE worldwide shipping on all my products, as long as it's above $50 in value! If you don't have a positive experience for ANY reason, I will do WHATEVER it takes to make sure you are 100% satisfied with your purchase. Buying items online can be a daunting task, so I want you to realize that there is absolutely ZERO risk in buying something and trying it out. If you aren't thrilled and satisfied with your purchase, no hard feelings I'll make it right. I have 24/7/365 Ticket and Email Support. Please contact me if you need assistance.